If you are planning to go outdoor for your wedding reception, but are doubtful, then you have every reason to opt for the marquee. 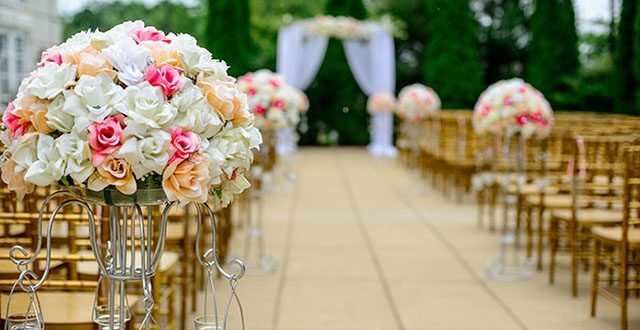 Deciding on a wedding venue can be a difficult task, and there are so many other factors that you need to consider as well. Did you ever attended a wedding reception that left a deep impression because the experience and theme were so apt with the newlyweds’ personality? Remember, the key is personalisation – and one best way to do is to set up a marquee reception. If you are looking for more reasons to opt for an outdoor wedding marquee, then keep reading! One of the best things about opting for a marquee wedding is that you get to choose the venue for the marquee setting. Look for a place that is spacious and that fulfills your dream wedding. The choice is yours; you can opt for a beach wedding, an open field, right in your residence, or wherever your heart sets. You’ve so many options when it comes to outdoor wedding marquee. Another good thing about marquee weddings is that it works amazingly well with any, and all themes. If you like the vintage settings, rustic, glamorous, nature or anything else, these theme will look great with the marquee weddings. You can decorate the marquee using floral garlands, hanging lanterns and fairy lights. Try complementing the marquee with carpet or lining of matching colour and take it to a higher level. Do you have a huge guest list, and are you struggling to accommodate the large number of guests you have? 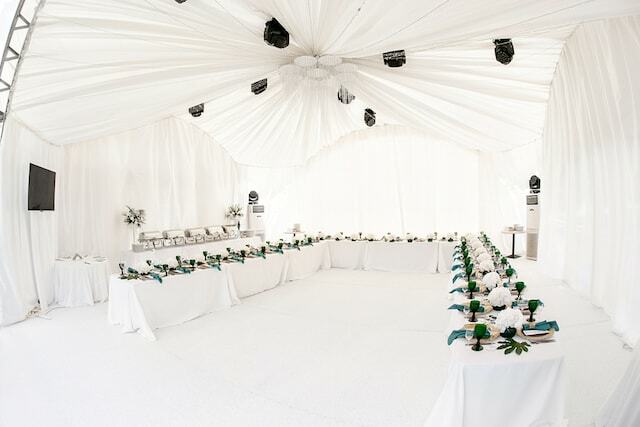 With a marquee reception, you don’t have to worry about the size or number of guests you have. As the marquees are generally modular in size, the only factor limiting the number of guest will be the venue space. This is in fact, the biggest plus point why you should opt for outdoor weddings. If you are planning to have a wedding reception at a low cost then you should definitely opt for a marquee wedding. It will help you save a lot of money because you don’t have to pay the money for renting a hall for the wedding. Wedding halls are expensive and then you need to pay an additional amount of money for the décor, caterers, etc.…, but with the marquees, you have the option of decorating as per your will, you get to choose the size and shape. There is a huge flexibility when it comes to money. If you are looking for a marquee within your budget, you will find that too. As mentioned earlier, with the outdoor marquee wedding you have the option to select your own caterers and décor; isn’t this what we all want, to get exactly how we like things to be? With so many different options in hand, you surely are going to have a blast at your wedding reception. These five reasons should entice you enough to help you decide your mind on whether you need an outdoor marquee wedding or not. Talk to the marquee suppliers and see if things go your way. Share the post "5 Reasons to host Your Wedding Reception Outdoor"